The numbers for September are in! According to the Northwest Arkansas Board of Realtors, September real estate sales were booming in Benton County. 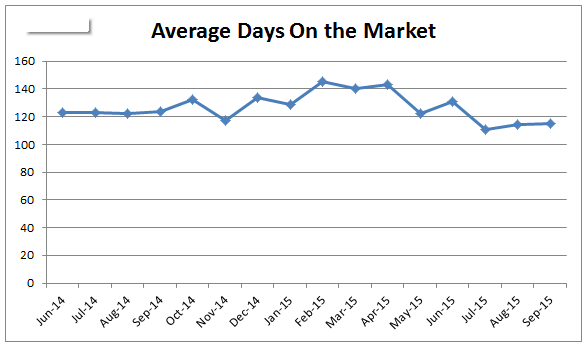 476 homes were sold, with an average sales price of $202,540, spending an average of 115 days on the market. That’s an increase over the same month last year. In September 2014 there were 375 homes sold in Benton County, spending an average of 124 days on the market, with an average sales price of $203,645. While sales are declining this year in many parts of the country, the housing market is growing in NW Arkansas. So what can we expect over the next few months? As always, home sales may take a slight upturn in October now that school is well underway and the weather is at it’s most beautiful in NW Arkansas. But as November and December bear down with colder weather, we will see a downturn in home sales as well as a slight dip in the average price of homes. 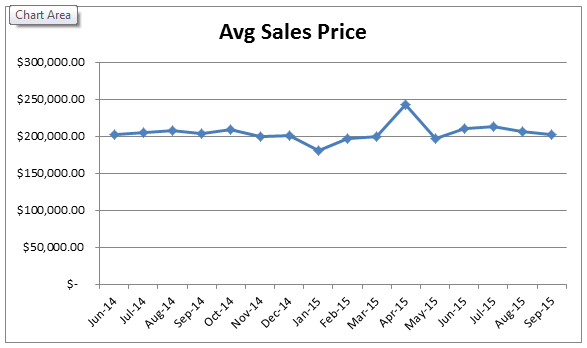 January and February are usually the slowest months in home sales. If your home closes in those frigid winter months, you are likely to find that your home spent up to a month longer on the market and sold for a bit less than if you sold in the summer months. 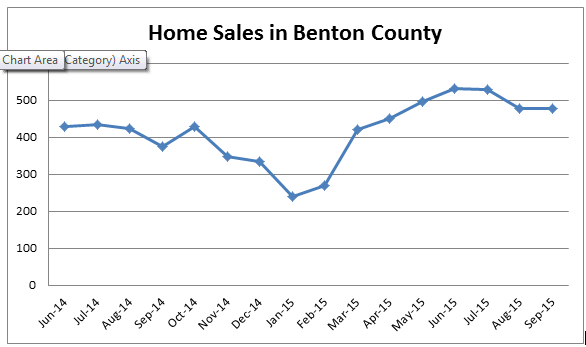 Check out the following charts to see how home sales have trended over the last year in Benton County. If you are thinking of selling your home, think about moving fast before the cold sets in. But if you can wait until spring, you might be able to pull a bit more cash out of your investment. If you are buying a home, look forward to lower prices and more time to make your move. As activity slows, you will have less competition and might be able to avoid some of those nail-biter bidding wars. ← Selling your Home? Watch this short video to find out how I can help!